The Jewish Free Press, Calgary, November 4, 2004, p. 9. Ha-Levi, E. E. Ha-Agadah Ha-Historit-Biyografit: Le-or Mekorot Yevanim Ve-Latinim. Tel-Aviv: Armoni and Tel-Aviv University, 1975. Meir, Ofra. Rabbi Judah the Patriarch: Palestinian and Babylonian Portrait of a Leader Helal Ben Hayyim Library, ed. Meir Ayali. Tel-Aviv: Hakibbutz Hameuchad Publishing House, 1999. For some of us, concerns about privacy and confidentiality stem from our use of computers and electronic communications. Huge industries have arisen that are dedicated either to the creation of foolproof encryption schemes, or to the cracking of other people's security safeguards. The desire to protect one's messages from prying eyes is probably as ancient as writing itself, and may go back to the beginnings of human speech. Echoes of these concerns can be found in classic Jewish sources. In the early third century, the Jerusalem Talmud relates that Rabbi Hiyya bar Abba was full of admiration for those wily people of "the east" who perfected a simple technique for producing invisible ink. Rabbi Hiyya describes how, when one of those easterners wished to send a confidential letter, he would compose the message with special ink containing a gall-nut extract. The additive rendered the writing invisible to the eye (since a gall-nut solution was also employed in the treatment of the parchment). It remained for the recipient simply to pour onto the document a liquid without any gall-nut juice, which would be absorbed by the ink and become visible. The Talmudic discussion focuses on halakhic issues, such as whether this would fall into the category of writing that is punishable on the Sabbath, or whether it would be valid if used in legal documents. The rabbis did not speculate much about why people would be impelled to keep their communications secret. A more sophisticated medium of communications was ascribed by the rabbis to Job and his companions. On the one hand, the Bible reports that each of the companions was residing in his own land. However, when they heard of their friend's distress, they immediately "made an appointment together to come to console with him and comfort him." Assuming that they were scattered in far-flung localities, the Talmud wonders how were they able to co-ordinate their itineraries with such precision? The circumstances become even more mystifying if we read the phrase "made an appointment together" as the rabbis did: as implying that they arrived in Job's land of Uz at exactly the same moment. According to one opinion in the Talmud, Job and his comrades were able to keep in ongoing contact with the help of what might be considered the earliest version of a wireless pager. The advanced communications devices were housed in their crowns. Rashi explains that the crowns displayed icons representing each of the companions. Whenever one of them was in distress, his icon would change its appearance, and the rest of the musketeers would instantly know to ride off to the rescue. Although it is easy to imagine many prosaic reasons why people would want to communicate secretly, whether through invisible inks or wireless head-sets, the most intriguing cases are those that involve high-level diplomacy. Several cases of top-secret correspondence appear in the stories about the Patriarch Rabbi Judah and "Antoninus," the Roman emperor or governor with whom he maintained a cordial association. On one occasion, Antoninus confided to Rabbi Judah that he had two items of legislation that he was determined to implement, but that the Senate was unlikely to support more than one of them. One of the proposed bills was the confirmation of his son as his successor; the other involved declaring Rabbi Judah's home town of Tiberias a colonia, a duty-free zone. Rather than provide explicit advice, Rabbi Judah staged a bit of symbolic theatre: He had one man ride on the shoulders of another, and had the carrier order his passenger to release a dove that he was holding. The astute Antoninus understood the hint immediately: If he was able to establish his son in power, then the latter could be counted on afterwards to carry out his other policies. A similar mode of communication was employed by Rabbi Judah when Antoninus consulted him about how to deal with troublesome political opponents. The Rabbi went to a garden and began to pick radishes, one at a time. Again, the encrypted advice was not lost on Antoninus: He should be careful to deal with his adversaries one at a time, rather than try to confront them all at once. The sages of the Talmud were well aware of why so much secrecy was needed in these interchanges between the Jewish and Roman leaders. The topics of the conversations were likely to ruffle the feathers of the Roman rich and powerful, so that publicity could be perilous. As readers of I Claudius may recall, Roman politics of the time were permeated with a culture of treachery and deceit that was avidly promoted by unprincipled informers. As the rabbis wryly observed, it was not enough to speak in whispers. "Don't revile the rich in your bedchamber: For a bird of the sky may carry your voice" (Ecclesiastes 1:20). In keeping with the low value that the Romans placed on human life, Antoninus was able to take ruthless security measures that (we hope) would have been unimaginable to Jewish leaders. The Talmud reports that Antoninus used to pay clandestine visits to Rabbi Judah through a subterranean passage, accompanied by two slaves. One of these unfortunate slaves would always be killed upon reaching the destination and the other after returning home. 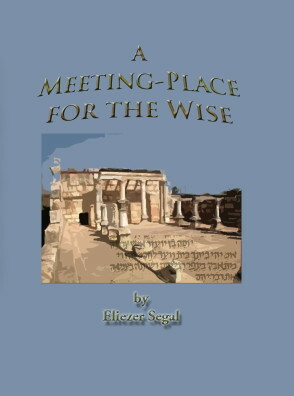 The Roman leader insisted that no other person should be present at those meetings--which raises some intriguing questions about how the authors of the Talmud found out about them. Some of the medieval commentators were taken aback by the matter-of-fact manner in which the Talmud presented Antoninus' ruthless behaviour, and Rabbi Judah's apparent acquiescence. After all, argued the Tosafot, the prohibition of murder is a universal law, incumbent upon all of humanity, and cannot be treated lightly! They suggested that, in this particular case, there must have been mitigating factors. Since a security leak would have placed Antoninus' life in grave peril, the preemptive killing of the slaves could be perceived as an act of preemptive self-defense. Furthermore, it was possible that he chose as his victims only individuals who were known to be criminals or informers, and were therefore deserving of capital punishment. If nothing else, the story serves to underscore how the lengths to which people will go to preserve a secret, and how dangerous some secrets can be. You may be sure that there is much more to be said about these delicate matters of codes and confidentiality.